Corfu is paradise for those who enjoy walking. 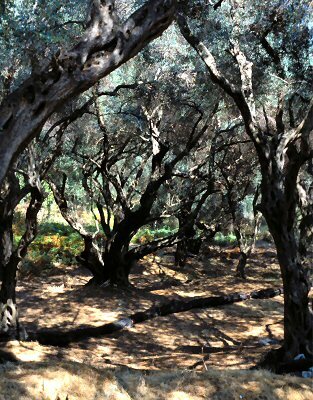 The olive groves will shade you - a natural parasol. These trees were planted by the Venetians more than five hundred years ago and are uniquely beautiful.